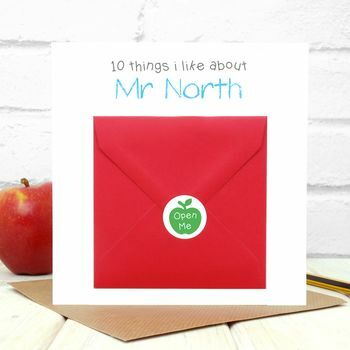 A unique and personal greetings card for your kids favourite teacher. The perfect gift for the end of term. 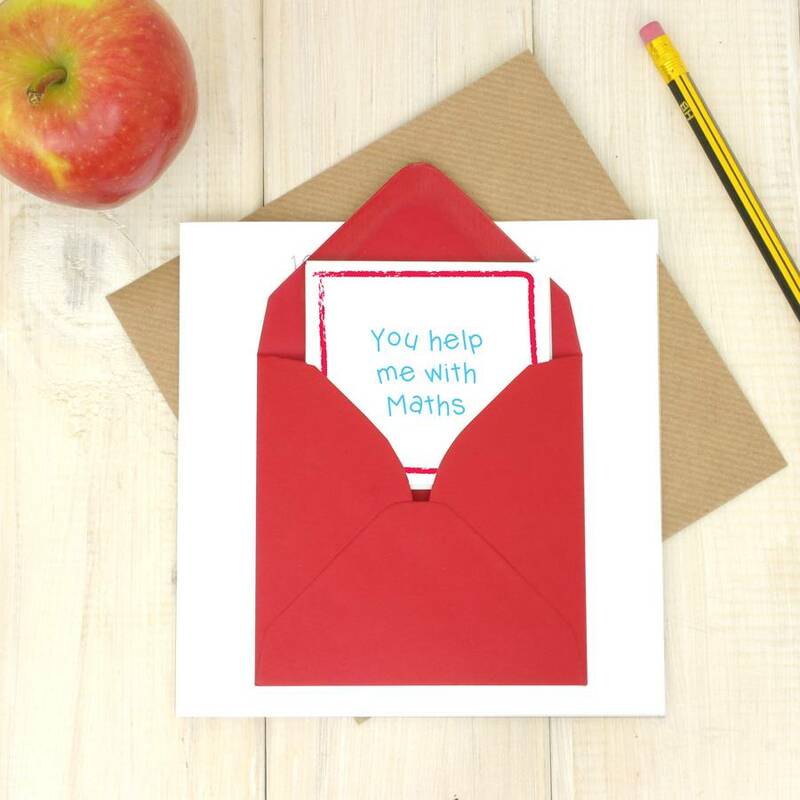 A simple and easy way to thank your child's teacher this year. Personalise the front of the card with the teacher's name and include 10 things which you feel summed up the past school year. Perhaps they helped your little on conquer Maths, or they particularly enjoyed their recent trip to the Natural History museum? Just narrow your favourite things down to 10 and we'll do the rest. Using quality card, each 'favourite thing' will then be printed onto 10 individually numbered notelets. Seal your envelope with a super cute apple sticker to really finish it off. Don't want to risk your little one losing it on the way to school? 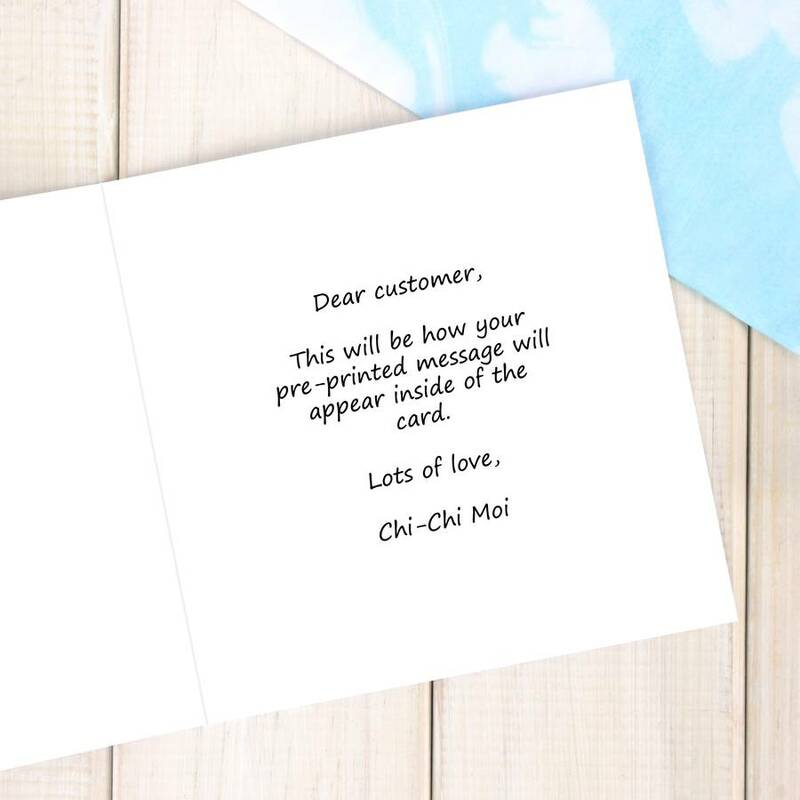 We can send your card direct! Just select the 'Direct to Recipient' option and fill in the field below with the message you would like included in your card. Good quality 300gsm card with a red mini envelope on the front and outer ribbed kraft envelope.